A-League fans can follow the games with free bookie promotions and see if the Mariners can win the Grand Final. Bolt brought a celebrity to the club and soccer league that had been lacking since the days of Alessandro Del Piero, Robbie Fowler, and David Villa. Yet, none of those three European football superstars could grab the headlines Bolt did. For a few days, Central Coast and the A-League were the talk of the football world. Bolt’s arrival was met with the announcement that he would be on an ‘indefinite training period’ with the Mariners. The club’s name suddenly made headlines and hundreds of thousands of Google searches were done on Central Coast. The Mariners aren’t playing well, but fans can still use free bonus bets for their favourite team. The A-League’s current bottom dwellers receive more interest from outside of Australia than ever before. In the same way that the football world opened its eyes to the United States’ and Canada’s Major League Soccer when David Beckham arrived, the A-League suddenly had new interest. The former sprinter showed some skill and the obvious bursts of speed that made him a world-class Olympic athlete. He tallied two goals in his first preseason start for the Mariners. In interviews post-game, Bolt expressed his desire to sign with Central Coast to get his football career off the ground. Yet, his desire wasn’t strong enough to sign with the Mariners when the contract was presented to him. Financial issues drove a wedge between player and club, and now Bolt’s slim chance at a real football career is getting slimmer as he tries to find a team. In 2011, America’s NFL football league endured a players’ strike. With time on his hand, wide receiver Chad “Ochocinco” Johnson – a self-professed lifelong soccer fan – persuaded Sporting KC to take him on trial. The trial was a joke as Johnson lacked the skills of even a good amateur soccer player. He may have had the pace, but his touch was appalling. The trial did give Sporting KC media coverage it had never had before. Media outlets in the club’s own city took notice of it for the first time and it drew interest from new fans. Bolt’s trial with Central Coast was very similar. Although the sprinter looked to have more natural soccer ability than Johnson. Yet, bringing an outside player who hasn’t played soccer as a career and comes from another sport, undermines those who are fighting for a place in the team. Would Bolt have made Central Coast better? Probably not, they are at the bottom of the A-League after five games with just two points. 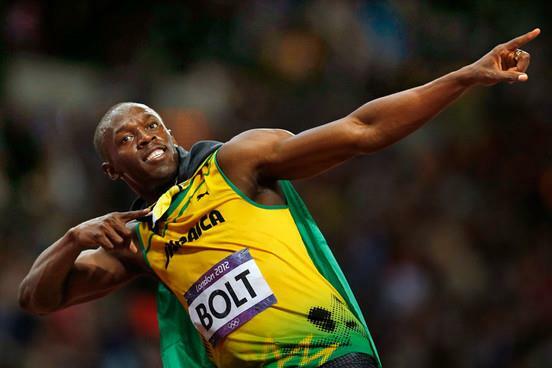 Would Bolt have brought fans to the stadium? Yes, but it wouldn’t have lasted. Once supporters around the league had seen Bolt play the attendance numbers would have most likely dropped off. According to World Football, the average Central Coast home attendance in 2017-18 was just 7,194. It was the second lowest in the A-League. After five games this season, the Mariners find themselves in the same position, but only averaging 6,594 fans per home match. Sure, the average attendance would have increased some, but winning soccer games is what really draws supporters.